Acid Gas is a mixture of hydrogen sulfide (H2S) and Carbon Dioxide (CO2), with minor traces of hydrocarbons, which is the by-product of "sweetning" sour hydrocrabons. Typical acid gas injection compressor operates at a suction pressure of 5 to 10 PSIG and a final discharge pressure ranging from 600 to 1500 PSIG. 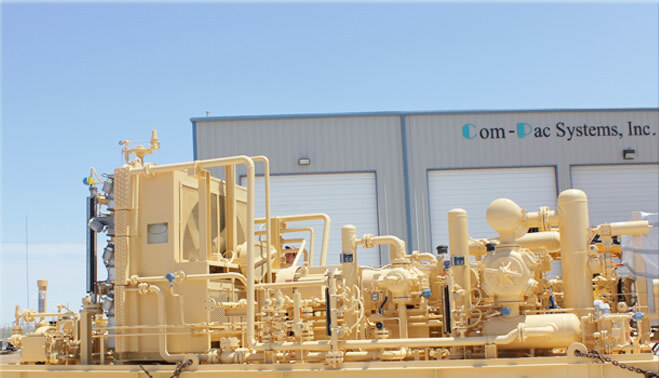 Operators are turning to acid gas disposal by injection into deep geological formations. Acid gas injection provides a cost effective alternative to sulfur recovery. The deep injection of acid gas reduces emissions of noxious substances into the atmosphere.